Summer is here, which means that summer allergies are as well. 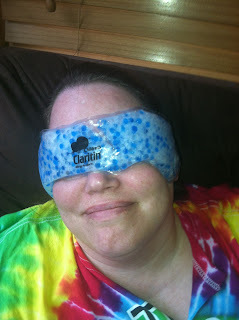 My entire family has allergies, so we were thrilled to share Children's Claritin through Mommy Parties and Children Claritin Mom Crew with our friends they sent samples, activities, ice packs, and lots of coupons for us to share with our family and friends to celebrate the warmer months! As you can see we had a "cool" time in the warm sun. The ice packs were great! Everyone loved how relaxing they were. 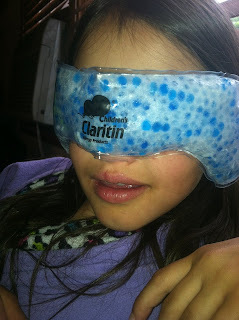 We share information about summer allergies and Children's Claritin! MamaBreak received products to share Children's Claritin with our party attendees. We did not receive any other type of compensation. As always, our experience and opinions are our own.